The new babies are here! Won't you please consider fostering a mom and kittens? You’ll be saving lives! In its first year, the Furkids TransFUR Coalition saved over 1300 animals from Georgia’s kill shelters. Click to learn how. SPRING CLEANING! 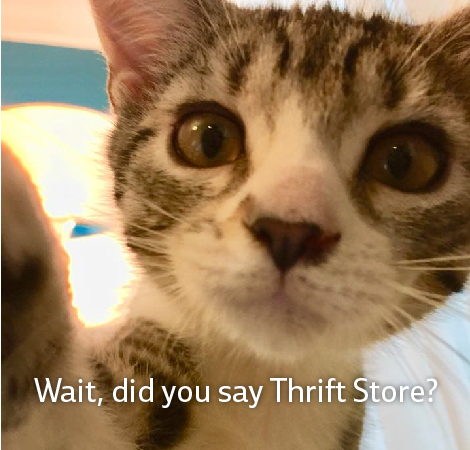 Donate your gently used items to one of Furkids' three Thrift Store Locations. You clear the clutter and save the lives of animals at the same time. Learn More About FIV. It's No Big Deal! We want to show you that FIV+ cats are just like every other cat. Let us prove it to you – adopt an FIV+ cat today! As a sponsor, you will help provide care and support for a homeless pet (like Krista 150267). Visit our thrift stores and your purchases will save homeless pets! Or call for a donation pick up! With your help, we served 4,572 animals in 2018. Learn more about the lives Furkids touched - and saved - in 2018. As a sponsor, you will help provide care and support for a homeless pet (like Rita 180869). As a sponsor, you will help provide care and support for a homeless pet (like Garnett).